Book your tee time now and SAVE BIG at Paradise Village's famed El Tigre Golf Course! 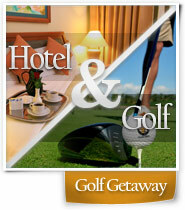 2 rounds of golf per room per stay. • An additional 19% tax will be added to the reservation. Complimentary shuttle service between the Paradise Village Hotel and El Tigre Golf Course, every 30 minutes.